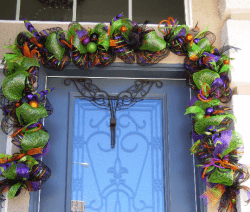 Halloween Garland This stunning deco mesh garland is perfect Halloween. It is made on a 9 foot wired work garland. 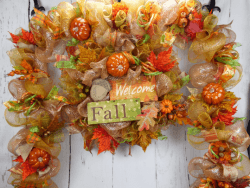 I used stunning black ..
Fall Garland This stunning deco mesh garland is perfect for the fall and Thanksgiving. It is made on a wired work garland. I use two different ..